Rating: 3.7/5. From 26 votes. 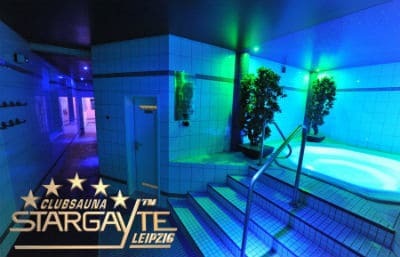 One of the largest gay saunas in Germany. 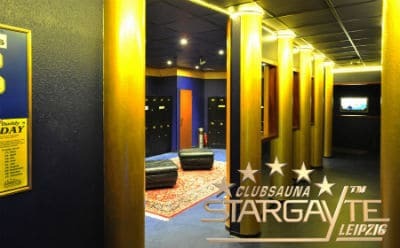 Stargayte Sauna offers private cabins, a maze, lockers, a dry sauna, a jacuzzi and more. Weekly themed nights include fetish day on Mondays and daddy day on Tuesdays. Be sure to check the website for current events. “I visited in August 2017, and was pleased with this sauna. 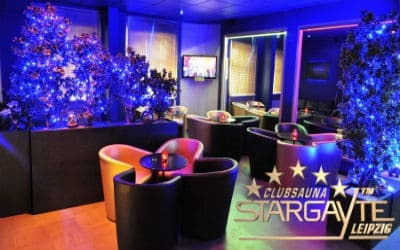 There is a small bar and lounge area (unfortunately smoking is permitted at the bar, as well as the bar next door). The sauna is large and nicely situated. There is a relaxation area with some plants which is a nice touch. The staff was very nice and friendly. Jake on 06-Jan-2019 | Reply	Problem with this review? Very friendly staff. Excellent facilities. russell on 09-Apr-2017 | Reply	Problem with this review? A lot of fun. Wonderful place. gastone on 10-Nov-2016 | Reply	Problem with this review? Sebastián on 29-Jun-2016 | Reply	Problem with this review? TGE on 29-Jun-2016 | Reply	Problem with this review? Pete on 31-Mar-2015 | Reply	Problem with this review?